V1 download will be released later this week. 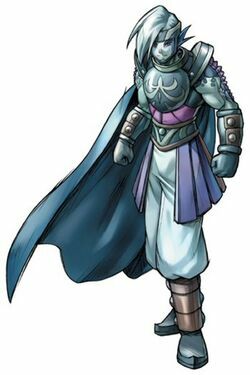 For those of you who unfortunately don't know who Saturos is, he is the antagonist of the first game in the Golden Sun series. However in Golden Sun: The Lost Age, it is revealed that throughout the first game, Saturos was merely attempting to save his home-town, and in doing so, the entire world. Saturos is a Mars Adept, meaning he uses Fire-based Psynergy(magic). His A moves should consist of sword-based attacks, while most of his B-moves should be based on psynergy moves that he actually uses in-game. Saturos' A moves should be quick, with low damage and knockback, while his B moves should be one of his only reliable killmoves. As far as recovery goes, his forward B is going to have the same recovery potential as Ike's, because it is going to be relatively unchanged. However his UpB, will need to be something that provides miniscule vertical recovery. He will also need to be slightly faster than Ike on ground and in the air. ANIMATION COMPLETE NeutralA- I will be keeping the NeutralA from my original lame Saturos psa, but changing it a bit. As-is, Saturos performs the 2 first hits of Ike's combo, then creates a small explosion on the ground. The opponent is knocked by the explosion's shockwave, rather than being hit by the explosion itself. It looks pretty awesome. Final Hit has some knockback, but shouldn't be a killmove. ANIMATION COMPLETE ForwardA- Saturos tosses a small fireball forward. I can use Ike's light item forward toss, then with psa put a single Fireball graphic effect a little past his hand. Should be easy enough. ANIMATION COMPLETE ForwardSmash- Saturos leaps forward, about the same distance as Wolf's forward smash, performing his basic "attack" command from Golden Sun. ANIMATION COMPLETE UpA- Saturos tosses a small fireball over his head. I can use the light item toss up animation, adding in one small graphic effect. ANIMATION COMPLETE UpSmash- Ike's normal upA with fire effect. ANIMATION COMPLETE DownA- Ike's normal downA with fire effect. ANIMATION COMPLETE DownSmash- Saturos puts his arms out to both sides, producing flames. 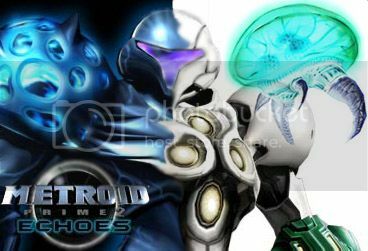 I will probably take DarkSamus's DownSmash and alter it, if I can get proper permissions. Pushes/flinches opponents but doesn't really knock them. ANIMATION COMPLETE AerialNeutralA- I will be keeping the N-Air from my old lame Saturos PSA. Saturos spins with fire on his fist/sword while hovering in place until the animation ends. Perhaps momentum based. Big hitbox, can be used to out-prioritize opponents. AerialForwardA- Saturos strikes the opponent 3 times with his sword. Slight knockback on final hit. ANIMATION COMPLETE AerialBackA- Ike's forward smash, rotated so that he hits from below, with his sword sweeping upwards behind him. Should look interesting and unique. ANIMATION COMPLETE AerialUpA- Saturos rises upwards with a fire effect trailing him. I'll have to use an upward momentum change in psa, so he goes upwards several feet. I'm not sure if I'll have his sword pointing up or not. If so, I can use Link's UpAerialA as a base, if not, I'll have to make it from scratch. ANIMATION COMPLETE AerialDownA- I like the one Aether made for Layton, so I might use a variation of it. Saturos brings his knee to his chest, then strikes downward with his heel. 3 collisions, one on his hip, one on his knee and one on his foot. Saturos raises his hand, performing his "Casting" animation from Golden Sun. After a few frames, two large pillars of fire rise out of the ground a few feet in front of Saturos. If possible, this move needs to be chargeable, with an uncharged version producing small flame pillars, while the fully charged version's pillars are much larger. This move will need to keep all of Ike's normal psa information, leaving it essentially the same move. The animation however will need to be changed. Saturos leaps forward, slashing an opponent with his sword. If Opponent's damage is over a certain %, it is inflicted with "stun". Damage- Less than Ike's forwardB. In order for this to match his attack from Golden Sun, he would need to fire at least 5 small fireballs which home in on an opponent. This would be very difficult to make, if even possible. So this move is still being considered. However if I were to make it work, I would offset fire graphic effects, coming from Saturos and meeting at a certain point, creating an explosion. I couldn't get the Proxian Bound to work right, and no one would offer to help with it, so I've had to try other things. I ended up with an Aether, where he moves forward really far before going up and spinning. I'm going to keep this I suppose, and change a few things about it. Right now he covers about 1/3 of a fully charged ForwardB's distance before going up into the spin. It's a bit tricky to recover with it. You have to space it so you end up at the grab point, or go over it and land on the edge. If not, it seems to always push you under the ledge. When used on the ground, Saturos pokes the sword forward along the ground. Looks kind of like Marth's downA. It has very little damage and knockback. I'm going to add some sort of effect to it so it's not completely useless. Punish is one of the moves Blados uses in Golden Sun Dark Dawn, it looks very similar to Aether in appearance. If Sakurai can make 90% of Ness's moves based off of things he can't even do in-game, then I see no harm in giving Saturos one move used by a later antagonist . EDIT: Can be repeated in the early frames of the animation, allowing one to move almost infinitely horizontally. It gives very little vertical recovery though, so I suppose it's alright for now. I find that even if you are below the ledge, you can simply repeat it until you are on the other side of the ledge then just let the animation commence so you can ledgegrab from behind at that point. However once you get so far below the ledge, there is no hope because it just doesn't give you that much vertical distance. Re: Saturos - Warrior of Prox - PSA Project. As you can see, Ike's model was already nearly perfect for Saturos. Saturos is supposed to be a strong warrior, so I don't think Marth's daintiness would have fit him very well. For some reason he reminds me of Bob from REBOOT. It's probably just the blue skin. Lol it's been 10-15 years since I last watched Reboot. It used to come on around the same time as DBZ. On topic- I'm going to do a few of his animations tonight/tomorrow. If anyone wants to help with the animations, let me know. I can probably handle them on my own, but I'm really needing someone to do the complex psa work once I get the attacks finished. Fight you? No. I want to kill you. I think it looks like a great project. 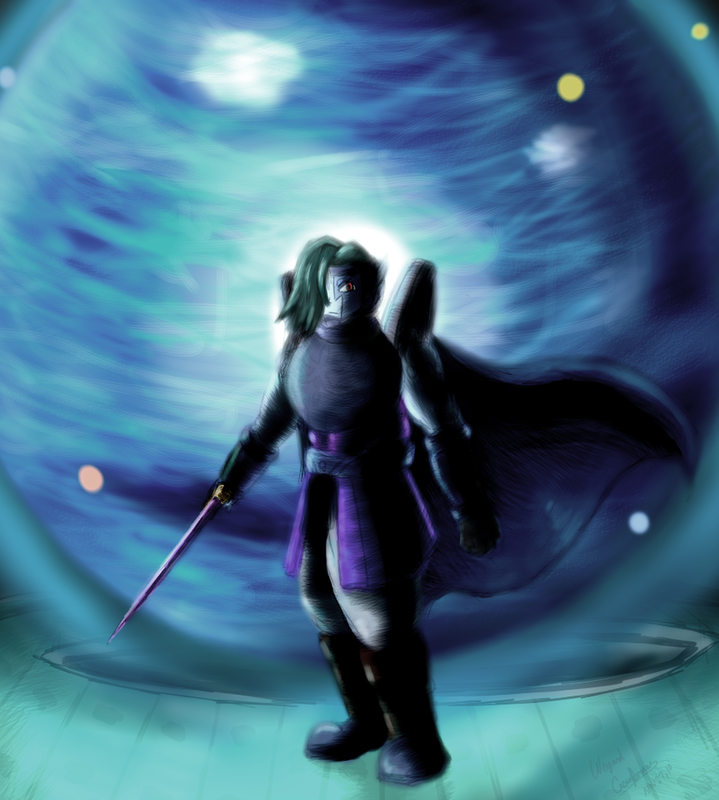 Saturos was one of my favorite characters from Golden Sun, even though he was the villain. I thought he was pretty awesome. The only problem is, I am planning my own Ike PSA, which I have a feeling *I* will love more than any other one ever, because of what its based off of, but it still seems like it could be good, and if you finish before I do, I'll probably put it on Ike until I finish my own, and that's pretty likely to happen, because I'm not very motivated in these types of things. So, good luck, and happy hacking! I don't like sitting around during projects like this. I'll work on it every day until I get stuck on something. It should be finished by Christmas at the latest. In that case, I'll probably use it for a good while, because I haven't even done anything for mine, except the model, and even that needs more work before its finished. And, of course, I will need to learn PSA, animations, etc., so its going to take me a while. I would just ask for help from somebody, in which case it would be a lot quicker, but I enjoy learning the methods and stuff. I'm starting some animations right now. Another Bump from the 2nd page. Just did some Saturos fanart, thought I'd just post it since I'm here lol. Since no one is able or willing to attempt the Neutral B, I'm going to attempt it myself later tonight. I've put some thought toward his B moves, and I've came up with methods of simplifying them in PSA. I might be able to do them all myself. My power's been out for almost 2 days. Just got a chance to start back working on this. That fanart looks great! If you drew it yourself, then I am extremely amazed at your artistic abilities. If I REALLY tried hard, I could maybe do that circle in the corner... As for the simplified B moves, that's great news! Rather than make the neutral B from scratch, I just put up a request for someone to offset the normal version of it forward a bit. Hopefully someone will be able to do that for me. For the upB, I'm going to just make him be momentum-pushed in that direction, then enter special fall at a certain point. Shouldn't even need any information in the Special tab for that one. I'm replacing his DownB with a Dash combo hit thing probably, based on Captain Falcon's downB. I havn't started on it yet, so I'm not sure how it will work out. PPXEXE offset the Neutral B for me, so now I just need to double it and move one of them over a bit further. I'm going to test it now and make a new list of things that need work.